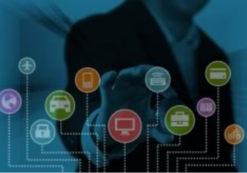 Ready to learn Internet of Things? Browse courses like Internet of Things (IoT) Training developed by industry thought leaders and Experfy in Harvard Innovation Lab. An Ambient Intelligence revolution is coming. In the past ten years, we’ve witnessed an astonishing mobile computing revolution. Smartphone installation base is expected to reach 6 billion by 2020, according to research firm IHS Markit. Over half of the world’s population are carrying personal devices that have powerful processors, sensors, cameras, high speed communications and intelligent applications. In the next ten years, an Ambient Intelligence (AmI) revolution is coming where all the above technologies will be embedded in our homes, grocery stores, offices, hospitals and transportation services. AmI will be one of the key elements of the Fourth Industrial Revolution. In The Rise of Ubiquitous Computer Vision in IoT and Intelligent IoT and Fog Computing Trends, we talked about some of the technology trends in computer vision and AI. 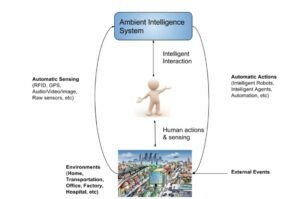 In this article, we will discuss what Ambient Intelligence is and explore how Internet of Things (IoT) solutions should incorporate AmI properties to address the pain points of users, business and society. AmI is able to deliver personalized services automatically in anticipation of the needs of the inhabitants and visitors. ISTAG did not tightly define the specifications for AmI. It aptly recognized the complexity and rapid evolution of the technologies and markets involved. Instead, it took a holistic approach and identified what areas need to be worked on for realization of AmI in aspects like technology, society and business. The “Ambient” side of the system includes sensors, processors, communications and adaptive software. They have all made huge progress in the past few years. The smartphone, wearable and IoT markets will continue to drive the miniaturization and cost reduction. In a not too distant future, the technologies can practically be built into everything around us. The “Intelligence” side of the system will determine the success or failure of an AmI deployment. We will look into that further. Carlos Ramos, Juan Carlos Augusto and Daniel Shapiro  presented an illustration of an AmI system. 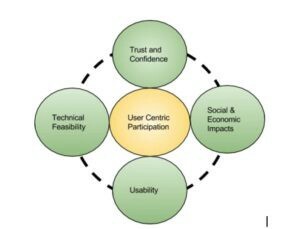 The core of AmI centers around human users (Fig 2). The model requires an artificial intelligence (AI) system that can automatically and accurately track people and their interactions with the environment. Intelligent agents or robots will automatically perform tasks within the environments to serve the needs of the people. There are several factors that will influence the adoption of AmI (Fig. 3). They are applicable to most of the IoT applications as well. First of all, the interaction with Ambient Intelligence should be unobtrusive, not involving a steep learning curve. Many companies, influenced by Apple’s design philosophy, have adopted user friendly design principles in their products. AmI will go even further. You should not need a manual to participate in AmI environments. It should just work as you walk into an AmI environment. In addition, AmI needs to work reliably, within the constraints of the state-of-the-art technologies. Factors like accuracy, capacity and fail-safe measures for all the hardware and software components need to be taken into consideration. Recently, Microsoft’s Tayshows us how artificial intelligence (AI) can unexpectedly go rogue. We still have a lot of work to do in fully understanding how complex AI systems behave. Besides, AmI needs to gain confidence and trust of users before it will be widely adopted. Andrew Ng, the former chief scientist at Baidu, said that AI is the new electricity. 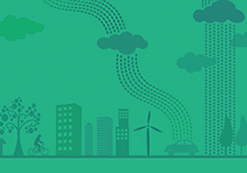 IoT infrastructure, that delivers AmI services, will be like the energy infrastructure. In order to gain confidence of the mass, AmI needs to place risk management, data security and system reliability as the top priorities. 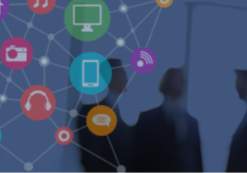 Privacy is also a big concern as Ambient Intelligence becomes more prevalent and powerful. The inherent nature AmI is the capability to uniquely identify and track people. We need to explicitly define privacy policies in public and private space to gain users’ trust. Businesses will need to be open about the extent of AmI capabilities deployed in their properties. AmI should be able to enhance social interactions of all the participants within the environment. One example is the use of AmI to enhance healthcare accessibility, elderly care and social support for the aging population. Last but not least, we could not underplay the economic impact to the stakeholders. On one side, it will no doubt increase the productivity of society as a whole. But on the other side, it will permanently change job functions of many people in the industries involved. That will affect the rollout of AmI in many areas. However, it is beyond the scope of our discussion today. Like Apple bringing the smartphone to mainstream consumers, Amazon has brought an ambient-aware smart home assistant to the mass market. It successfully introduced the voice controlled assistant Alexa in 2014, despite being years behind Google and Apple in natural language and voice technologies. Amazon’s Alexa started with solidly carrying out a few simple tasks in a very affordablespeaker called Echo. Users can set alarm clock, check weather, play music and create shopping list, without the hassle of pulling out their smartphones. Most noteworthy, Alexa also gives users a more natural way to interact with IoT devices. IoT vendors can add “skills” to Alexa’s platform to control their devices. A growing list of IoT vendors are integrating with Alexa ecosystem. Through word of mouth and a low price point, the sales have been strong. It is estimated that Amazon’s Alexa owns 70% of voice controlled speaker market this year. Some people bought more than one Echo speakers and placed them around their home. Everyone in the household, even young children, can easily participate and share the product. Most importantly, a new generation of consumers have learned how to summon invisible assistants without a device on hand. This paves the way for future AmI environments. Google, Microsoft, Apple and Xiaomi are closing in by introducing their own voice controlled assistants. Recently, Amazon also added cameras to Alexa. This will give the assistant more capabilities to pro-actively serve the users. It will be interesting to see how comfortable users are to such kind of experience. In many countries, especially industrialized nations like European countries and Japan, the aging populations and shortage in health care professionals  will create demands for Ambient Assisted Living (AAL) technology that helps seniors to prolong independent living. It will allow health care and elderly care professionals to remotely monitor and support seniors more efficiently. Newer generations of security camera systems will continue to have strong growth as consumers become aware of the effectiveness of those products in protecting their families and properties. One example is the success of integrating security camera to doorbell, which allows the homeowners to confront unknown visitors remotely. These systems will be smarter, more accurate and easier to use. Ambient Intelligence can greatly reduce the occurrence of accidents in workplaces like construction sites. Many accidents are caused by the lack of compliance to safety regulations. It is not feasible to have human monitors throughout the day. On the other hand, AmI can have a continuous god’s eye view of the environment and the workers. It can generate immediate alerts to the manager or worker for safety rule violation. Retailers have been using wireless technologies like iBeacon, for several years to reach out to mobile users while they are shopping in physical stores. On the other hand, E-Commerce giants like Amazon and Alibaba start to explore the concept of unmanned supermarkets (Amazon Go and Tao Cafe, for example), as part of their Online to Offline (O2O) efforts. Those stores strongly leverage AmI technologies. They aim at providing a personalized 24/7 shopping experience in physical stores similar to online shopping. Almost 20 years after the introduction of AmI vision, it is now technically practical to implement many of the elements. It has the potential to disrupt business models in many areas. However, AmI still needs to gain the trust and confidence of the public. It will require a lot of emphasis in accuracy, security, reliability and privacy protection. Nevertheless, people are starting to enjoy the benefits of AmI offered by applications like ambient-aware smart home assistants. Gradually, the usage model will affect many aspects of our lives.